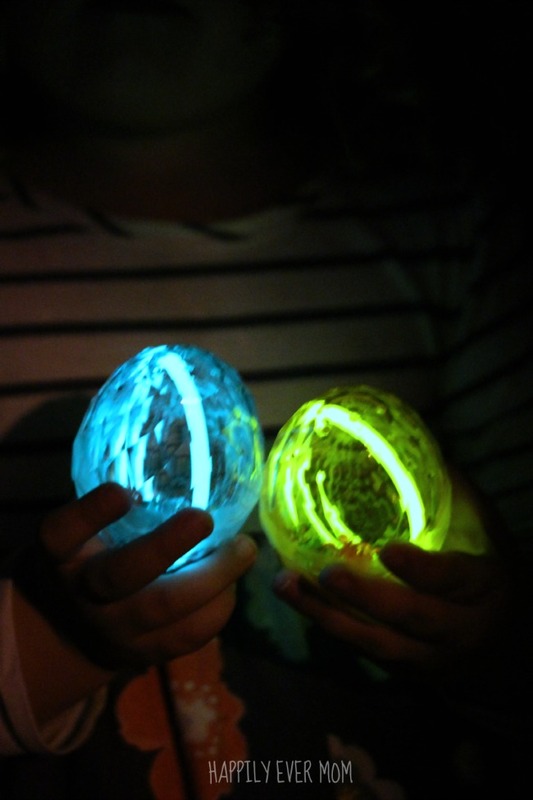 Glow in the dark egg shakers are the perfect DIY instrument! 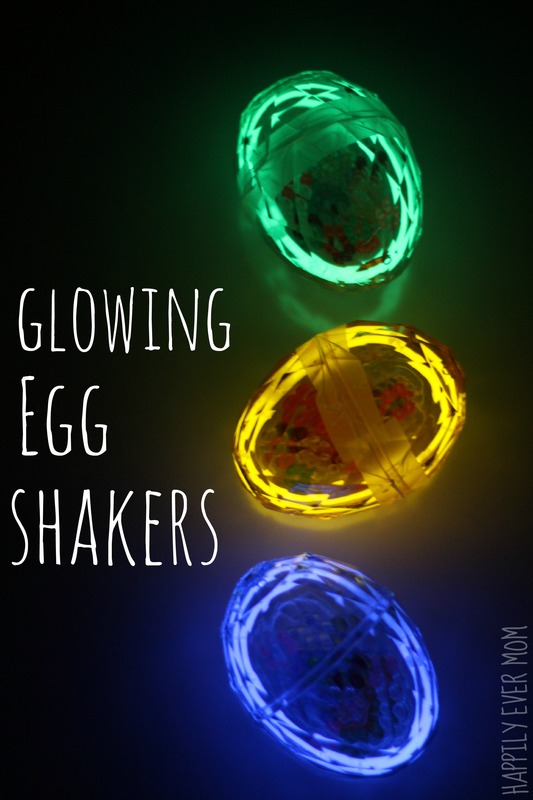 We’ve had a blast making glow in the dark instruments before, but when I grabbed plastic eggs at the dollar store, I knew that I wanted to make them into egg shakers. And, when I saw that we had glow sticks, I was determined to make our egg shakers GLOW!! Wondering why would I want to make glow in the dark egg shakers? Because everything is better when it’s glow in the dark!! But, really it’s because the theme for the light and reflections series today is music and movement. I wanted to come up with an easy, glowing instrument that anyone could make, and these came out so nicely!! Put some beads in the bottom half of one of the plastic eggs. Then, break a glow stick (so that it will glow) and form a circle. 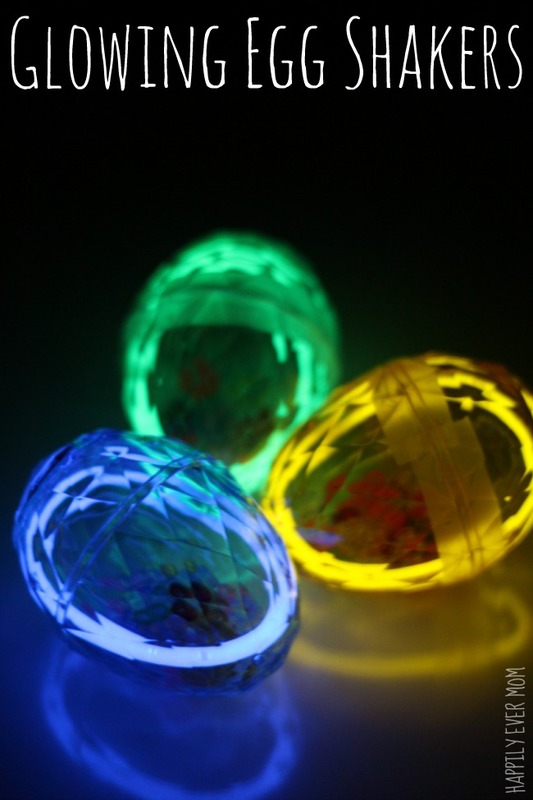 Place the glow stick inside the plastic egg with the beads. Close the plastic egg with the other half. Both my one-year-old and my preschooler LOVED these egg shakers. They turned every light off in the living room and ran around shaking and singing. It was amazing to see how something so simple and so easy to make brought them so much joy!! That’s what it’s all about for me – creating memories and family fun! After these lose their glow the next day, you’ll still have egg shakers for the kids to use! Now, that’s awesome!! So cool!!! My boys would love these! So pretty and so much fun! LOVE it!! What a great activity! I love the photos! They show how bright and fun they look! I’m totally adding this to my list of things we must do! I think these are great! 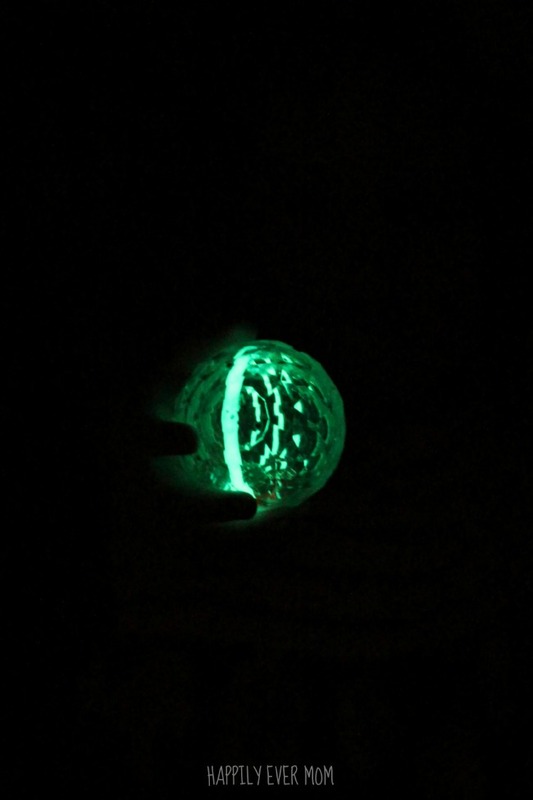 I like the simple stuff in life …like glow in the dark fun! This would be great for an Easter egg hunt in the dark for my older kids. Pinned. Visiting from Link & Learn blog party.